Google Play services 4.2 has now been rolled out to the world, and it’s packed with much-anticipated features such as the brand new Cast API and the updated Drive API. In addition to these blockbuster announcements, we are also launching a slightly less visible but equally important new API — a new way to connect client APIs and manage API requests. As with the initial Drive API, these changes were available as a developer preview in earlier releases of Google Play services. We're now happy to graduate those APIs to fully supported and official. In this post we'll take a look at the new Google Play services client APIs and what they mean for your apps — for details be sure to read Accessing Google Play services and the API reference documentation. Simplicity—The onConnected() method will be called once, and only when connectivity to all the client APIs you are using have been established. This means you do not have to intercept multiple callbacks, one for each API connected, which simplifies the code and state management. Improved user experience—With this design, Google Play services knows about everything your app needs up front. All APIs, all scopes, the works. This means that we can take care of the user consents at once, creating a single consolidated user experience for all the APIs. No more sign-in mid-process terminations, partial state management, etc. Below is an example of establishing a connection the Google+ and Drive APIs. To see the reference information for this new client connection model, you should check out the com.google.android.gms.common.api package. // This operation will be enqueued and issued once the API clients are connected. // Only API retrieval operations are allowed. // Asynchronous callback required to not lock the UI thread. With this release of Google Play services, you now have the option to specify if an API call should execute asynchronously (you will receive a callback once it is finished), or synchronously (the thread will block until the operation has completed). This is achieved by using the classes PendingResult, Result, and Status in the com.google.android.gms.common.api package. It should be stressed though that the old best practice rule — do not block the UI thread — is still in effect. This means that the execution of this sequence of API calls described above must be performed from a background thread, potentially by using AsyncTask as in the example above. 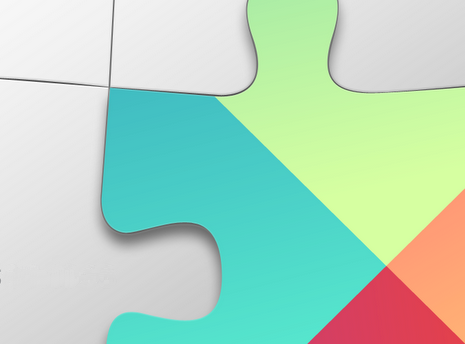 We believe these changes will make it easier for you to build with Google Play services in your apps. For those of you using the older clients, we recommend refactoring your code as soon as possible to take advantage of these features. Apps deployed using the old client APIs will continue to work since these changes do not break binary compatibility, but the old APIs are now deprecated and we'll be removing them over time. That’s it for this time. Google Play services allows Google to provide you with new APIs and features faster than ever, and with the capabilities described in this post, you now have a generic way of using multiple client APIs and executing API calls. Make sure to check out the video below for a closer look at the new client APIs. To learn more about Google Play services and the APIs available to you through it, visit the Google Services area of the Android Developers site. Details on the APIs are available in the API reference.